Our journalist followed the negotiations of the Young European Council 2015, which gathered over 70 global shapers from across Europe. Energy Union and Climate Action, Migration and Home Affairs, and finally Education and Employment, topped the agenda during the rounds of negotiations. The international conference tested their leadership skills and scanned their knowledge in EU affairs. It is barely possible to talk about Europe's future without looking at the young generation ahead. 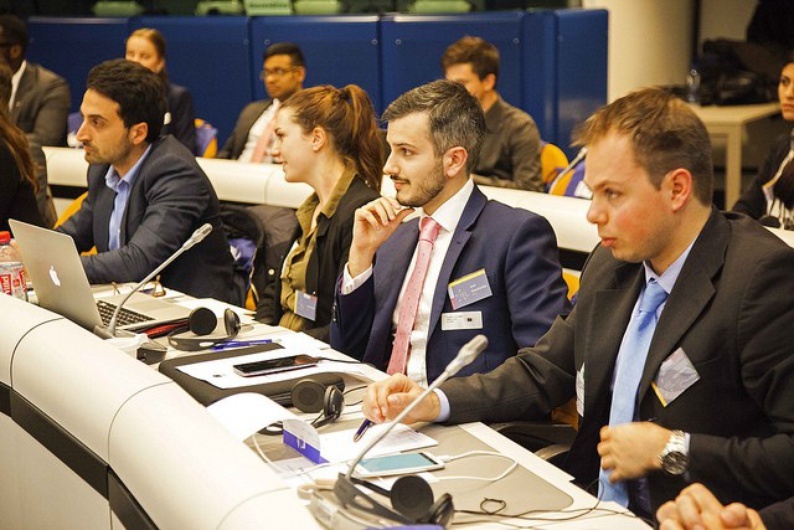 The Young European Council 2015 (YEC15) is nowadays the top destination for young professionals from all across the globe who strive to voice their concerns and table solutions in EU politics and governance. During four intense days, the Young European Leadership (YEL), a non-profit organisation, heads a leadership development programme to provide specialised training and meetings with experienced decision-makers within the EU 'bubble', such as EU officials from the European Commission and the European Parliament. The idea of this organisation is simple: Europeans need to flick the switch from senior to junior politics to prepare the younger generations for the critical challenges in the European landscape. Tillmann Heidelk, YEL's co-founder and president, launched a unique platform featuring young students and career-starters to supply policy input to the ongoing discussions and show that young leaders have a say in the EU policymaking. The co-founder explains how conventional selection procedures are not effective to capture sheer talent. That is why YEL is committed to empower young talents - regardless of their academic background or their professional status - to change a political system still viewed as defying youth political engagement. 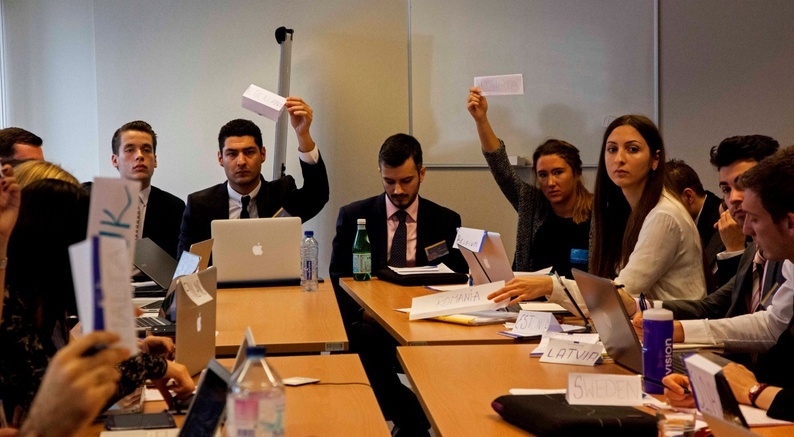 Following the last days of the conference, YEL offers all participants a simulation of real situations of negotiation, deliberation, and agreement upon a wide list of EU-related topics before a chair. In light of the event, the aspiring leaders are converted into national delegates with room to issue recommendations and debate concrete proposals. The chair of the panel of Migration and Home Affairs, Clement Diot, puts forward the value of constructive debate and highlights the comprehensive approach to the issues to make a better future and a better Europe. Quick fact-check: In the 2014 European elections, for instance, 72 percent of 18-24 year-olds did not vote. However, the YEC15 proves young leaders are not that disconnected from EU politics. Eira Fallen, one of the applicants, found the opportunity on YEL's Official Facebook Page. The Swedish candidate submitted the application and was notified days later she had been selected for the YEL's programme. The participant said 'it is quite obvious EU member states cannot resolve all the problems by themselves and they must be addressed at the European level'. The quest for a louder political voice is the desire of all at the YEC15, which convened for the second year in the European Parliament. Julia Schinzel is a delegate representing Austria on the Migration & Home Affairs Panel who insists on the need of speaking up yourself: 'You have a voice and with your voice you can contribute and give inputs in this complex and interconnected world'. The programme is extended to young people, aged from 18 to 29, from any EU country, who may apply to one of the three available rounds of applications. For the ones more interested in joining the YEC media team, to conduct interviews with the EU officials and assist with the coverage, they are advised to apply for the position of media delegates for each one of the panels. YEL’s motto above could not match better with the ambitious goals of the initiative already inspiring hundreds of young people. Like the senior leaders, the juniors are endlessly reminded of the need to address solutions.The participants are encouraged to find responses on their own on multiple platforms among YEC15, such as the Y8 and Y20 (the G8 and G20 Youth Summits) and the OECD Forum. The tragic Paris terror attacks added pressure as expected on the Panel of Migration and Home Affairs on the discussion of the EU's migration agenda on topical issues, such as the management of external borders and security policies. The 25-year-old lawyer Martin Dethier expected to discuss more openly the EU’s questions and the exchange of opinions. When it comes to the recent terrorist attacks, the lawyer claims there must prevail differentiation in the course of debate. 'The security issues shouldn't be linked to migration. As long as migration is seen as a security affairs issue, we won't be able to see the full potential migration carries', Martin told Cafébabel in the corridor of the European Parliament. Arvin Khanchandani, 25, is representing Poland on the Panel of Migration and Home Affairs. The student, who holds a Master's Degree in EU Politics at the London School of Economics and Political Science (LSE), believes it is only natural to participate in this kind of event. 'Europe needs young leaders and I think YEC as all initiatives by the Young European Leadership let us acquire the necessary skills for our future careers'. The young leader commented on the complex links between Paris and security affairs. 'We were very hurt, especially because it is something so close to us. Security issues are definitely becoming more important in the 21st century', Arvin concludes.